I want to take my First Name text field and add it to my Last Name text field and create one field called Full Name (which is hidden from the user). The reason for doing this is that GoToWebinar requires separate First and Last name fields, while Constant Contact requires one field with both First and Last names combined. 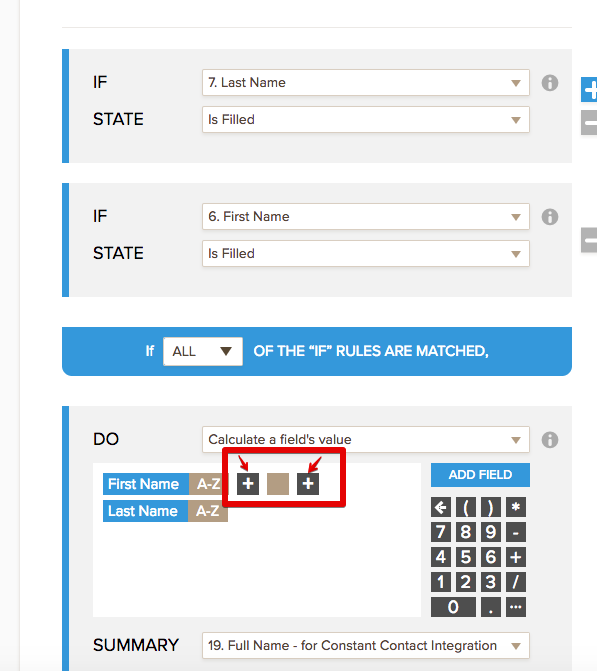 When I follow the instructions, I end up with 0 0 in the Full Name field, even though I have specified that the added fields are AZ. Try filling out the form and see what happens when you receive the response email.